Kepler Concordia is a new musical instrument for scientific exploration as immersive experience being created by a team of programmers, artists, musicians, and engineers led by Dr. Kelly Snook, former NASA Scientist and Professor of Media Technology at the University of Brighton. Say no more! How can I support Concordia? As of February 2019, Concordia is still self-funded by its passionate creators. The good news is: you can be a part of making it happen by becoming a Concordia Patron for as little as $1/month! What if you could answer a 400 year old burning question just by playing a musical instrument? Three hundred and ninety-nine years ago, Johannes Kepler had a world-changing, historic, epiphany. Most people know Kepler as the father of modern astronomy for his discovery of his 3 laws of planetary motion. But what most people don’t know is that he made these discoveries by using music to investigate the planetary movements. Kepler’s Harmony of the world is full of musical notation and instructions for how to hear and play these musical relationships, but to this day, the music has not been playable or accessible to us mere mortals in its full glory. We are building a musical instrument based on Kepler’s work to be released on the the 400th anniversary of Kepler’s book, Harmonies of the World. The instrument is called Concordia, which is Latin for harmony and it is a virtual immersive experience, using today’s most advanced technologies to construct scientifically accurate models of the solar system to scale in time and space. Imagine being in your own personal spaceship flying around in space. What you see and hear are not only the celestial bodies themselves, but beautiful complex geometric shapes and patterns that emerge when you study how the planets move. As the player, you are in complete control, issuing commands through physical and virtual musical controls – picture a mashup of a cockpit, a modular synthesizer, and a wall of computer controls from the 1960s. Each planet will have its own panel of controls, with big knobs – maybe even steering wheels – for the main level of that planet in the field of view. The controls will be customizable – if you don’t want to build the full cockpit, you could just use a keyboard or a smartphone or tablet. Or you could go to the other extreme with gestural music controllers like motion capture body suits or the mi.mu Gloves – whatever you have! For the “mothership” controls, we are planning to integrate the mi.mu gloves, which Imogen Heap and her team have been developing since 2010 for advanced control of music and visuals with gestures. We are building a Fab Lab in the School of Media at the University of Brighton to develop the DIY Concordia cockpit. In Concordia, using your controls, turn up Venus and Earth, for example, and you will see and hear this pattern. Now, imagine this in 3D and to scale and you have the ability to control time as you fly through space. 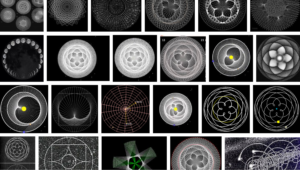 Imagine all of these objects make sound so that your choice of pathway through them creates music unique to your path and the planets you’ve chosen. In 2019 we will release instructions for how to build or connect your own set of controls so that schools, museums, or anyone else that wants to play the instrument can easily control it. By then, Augmented Reality headsets will be widely available and the content will be distributed as efficiently as possible – probably something like multiplayer on-line video games are now. On the occasion of the launch, musicians will be commissioned to write and perform compositions in Concordia, which will be streamed live to everyone around the world who’s tuning in. As we build this instrument, the things we learn will help make progress more generally in a new research field called “Investigative Music,” which returns to the medieval approach of using music to investigate both physical and spiritual reality. We believe that the future of music, at least partially, is a return to the past – beyond materialism, away from entertainment, commodification, self-promotion, and idolatry – even beyond self-expression – and back to its fundamental purposes, which are to bring us together, to understand our worlds and ultimately to connect to the divine. So, when playing the Kepler Concordia, there will be no escaping learning about nature, and there will be no escaping the awe of the natural and deep response to order in the cosmos as expressed through music. 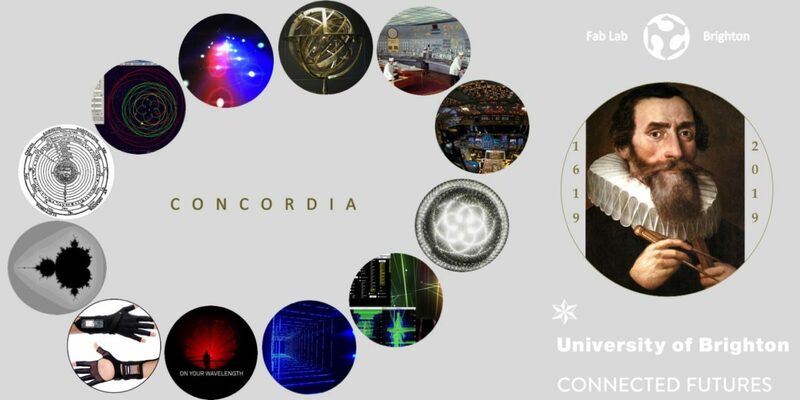 The creation of Concordia will require new advances in data sonification research and will contribute towards the creation of general sonification paradigms and tools that can be applied to other data, so that people can use multiple senses together to experience nature in new ways, to find patterns and make new discoveries. So Kepler’s final take-away from his decades of ground-breaking scientific research is that mankind is one, created to live in harmony. This is worth celebrating. By studying physical, musical harmony, he more deeply understood our spiritual harmonies, and now, for the first time in 400 years, we will, too. The thing the excites me the most about Concordia is the opportunity it presents to each person who plays it to explore without limits, and to come away every time with new insights into deeper spiritual truths by exploring the physical universe.